White Night has transformed Melbourne into a sea of around half a million strollers all night long; the best part being the model behavior displayed by the crowd. 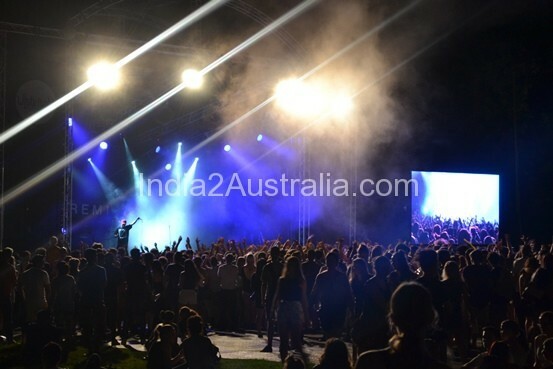 This year, the crowd management was excellent compared to the previous two years. To begin with, a little intro about the celebration, the origin of the festival is credited to Saint Petersburg of Russia. The white night is the name given in high latitude to the weeks around summer solstice in June during which sunsets are late. In Russia, this is a massive show celebrating the end of school year. Paris followed suit in 2001 with Nuit blanche. Over the years, cities in Israel, Italy, Britain, Canada, Malta, Iceland , Peru and Australia decided to keep their citizens awake whole night long soon. 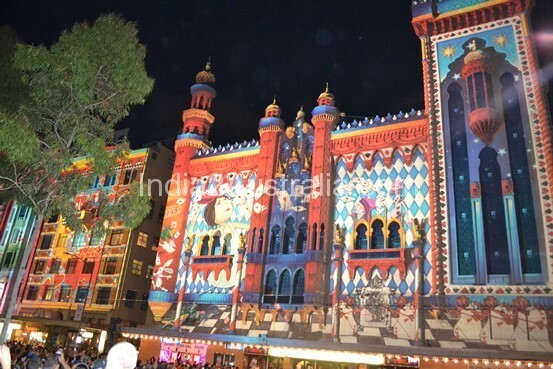 From Yarra River to the Museum, Melbourne turned itself into a wonderland of light and colours. 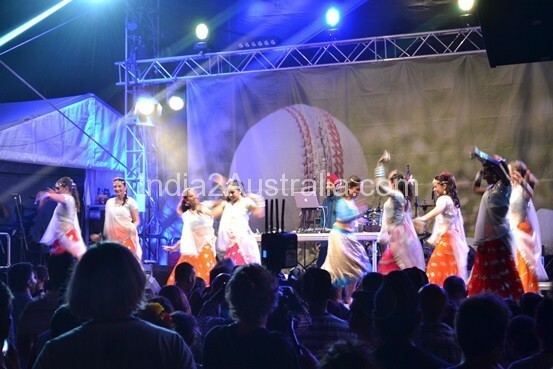 The banks of Yarra were transformed into a Little India paying tribute to the changing demographics of Australia. The Glowing lotus pond, floating tortoise and a floating stage with Pallavi Sharda’s dance with the Jhoom added colour to the Sita’s Garden. 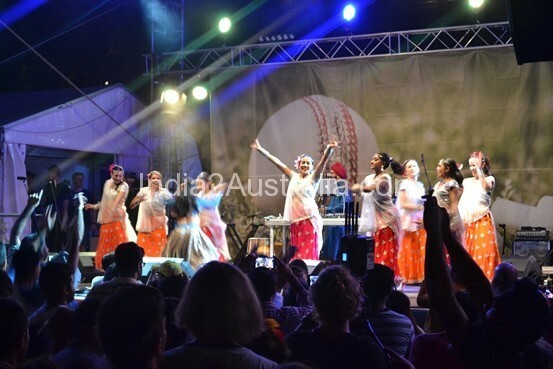 The Stage Performances near Yarra, with DJ Richie Madan was a feast to the eyes with various dance items and a music bonanza with Bombay Royales. 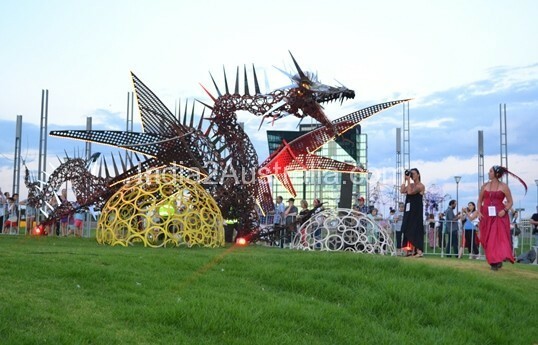 Birrarung Marr also sported a fire spitting metal dragon, by Sean Diamond and Stephanie Selig. 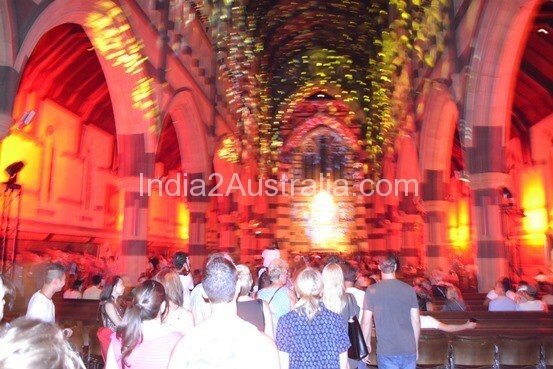 The Royal exhibition building transformed itself into a stage for virtual dancers starting with the four elements. The artistic direction was by Nuno Maya. The Alexandra Gardens, with its Audi Show, gave a peek into the complete control and efficiency of Audi’s driving machines. 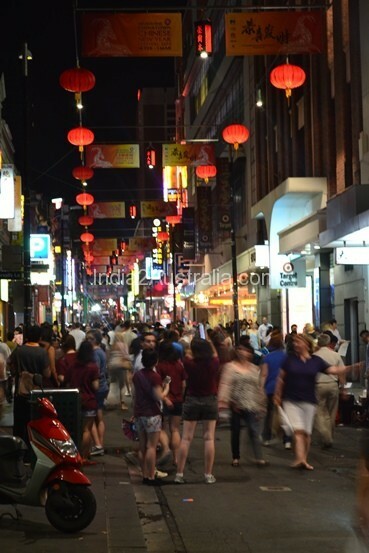 The Chinese New year celebrations running concurrently, the China Town in Melbourne added excitement to the show with Chinese lanterns and Chinese performances. 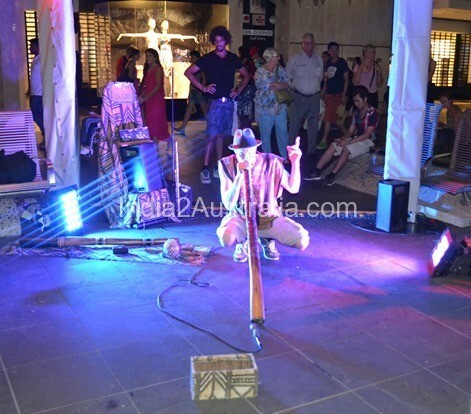 In recent years Melbourne made a shift to claim its place as busking capital of the world. 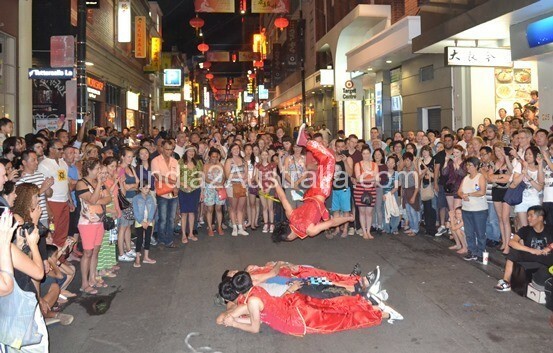 No wonder, buskers in almost all White night streets could claim their share of popularity with crowds gathering around in large numbers. 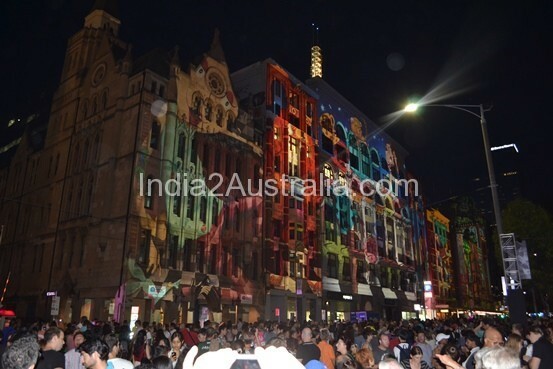 In Flinders Street Between Russell and Elizabeth Streets, the Wonderland projections created a show of images on a grand scale . 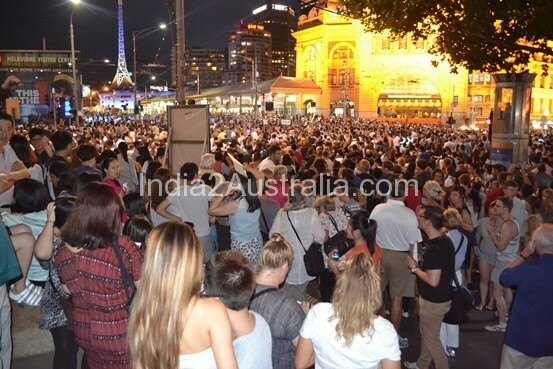 Over all White Night 2015 was a thumbing success for both the organizers and the general public who spent a sleepless night in the streets of Melbourne.